To receive the AsiaBulkSystems newsletter please sign up by entering your details below. CZL Powder Technology Co., Ltd, a Chinese large-scale plant engineering firm specialising in powder processing installations - including storage, metering, mixing, blending, conveying and packaging – recently completed from design to commissioning an advanced production plant with an annual output of 36,000t of PVC additives for Hebei JingXin Chemical Group, the largest PVC additive manufacturer in China. The whole factory is divided into raw material storage and feeding area, production area and finished product storage. The production area is fully automated and unmanned, and the airborne dust content is less than 20mg per cubic metre. 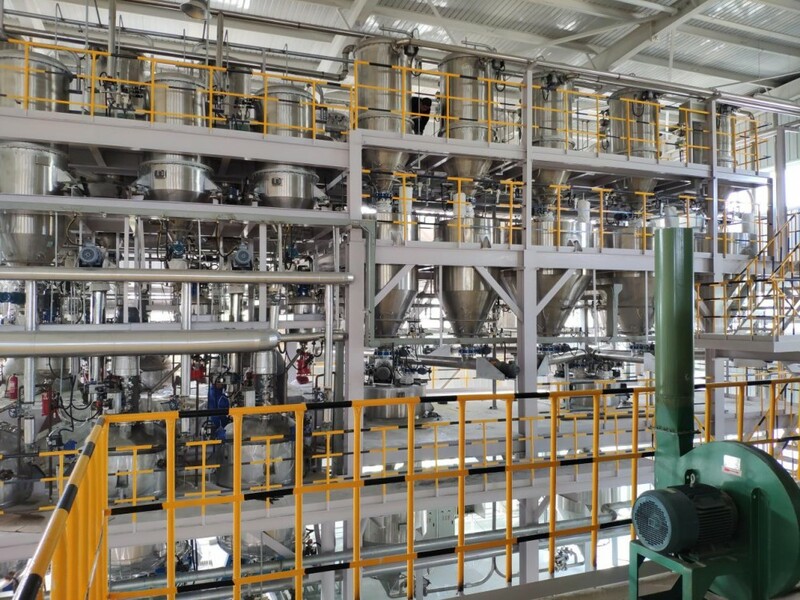 The production line includes: raw material dustfree feeding, pneumatic conveying distribution to14 raw material storage warehouses, weighing, mixing, automatic packaging and palletising, as well as single point and centralised dust removal system.